We all know, or at least Shakespeare has lead us to believe, that a rose by any other name would smell as sweet … but would it smell as nostalgic? That is a question drifting around Philadelphia these days, where several transportation spots are slated to be renamed. The station formerly known as Market East will soon be re-named Jefferson Station. The change comes after Jefferson Hospital inked a deal with Titan (advertising for Septa). SEPTA’s tight budget is no secret, and certainly bargaining with the naming rights of stations is a way to approach this fiscal issue. Press coverage, including some releases by Septa itself, have focused largely on Jefferson’s recent push to become more visible in the Philly healthcare market. Naming the closest station after the hospital can help cut confusion for arriving patients, and solidify Jefferson’s brand presence in the area. Seems like a win-win for both institutions. However, the name deal is only for a few years, with an option to renew. So after five years, what happens to the name? Will it go back to being the bland but currently accepted Market East? Will Jefferson Hospital renew and continue the name in perpetuity? Will another school/company/organization take over the name-option and re-name the station something else entirely? This is not the first SEPTA station to gain a new moniker – At&t station (formerly Pattison) is a relatively new addition to the southern end of the Broad Street line. Many cities also keep with the tradition of re-naming streets or plazas after famous figures. In fact, it was recently announced the 30th Street Station will be renamed in honor of William H. Gray III. That seemed to cause a fair amount of consternation as well. 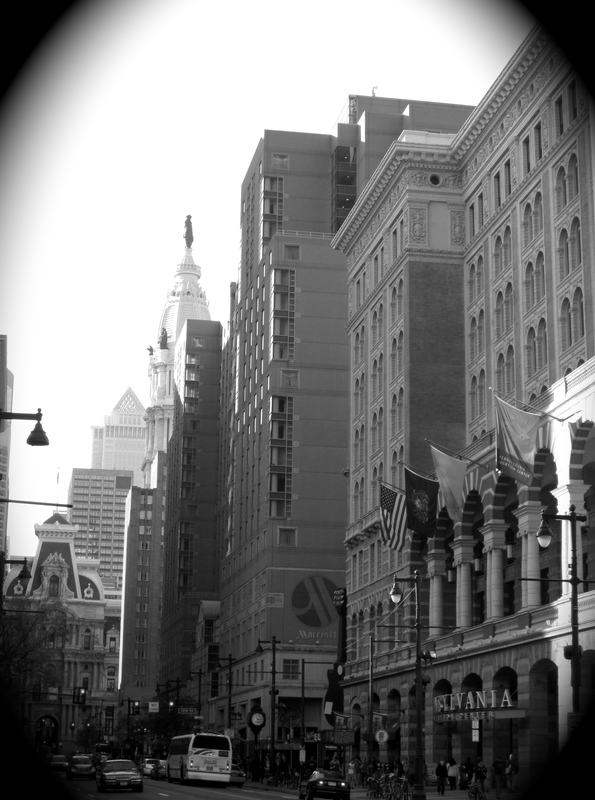 Not because the honor isn’t well deserved, but because 30th Street has always been, well, 30th Street. If the venture proves successful, and with the At&t deal coming to a close, and the new deal with Jefferson about to begin, it appears that if SEPTA finds the prospect successful, we will have to wait and see if all SEPTA stops will have sponsorship in the future. Or maybe people will just stick with saying the old names, no matter what the station signs say. The Philadelphia area has had a heat advisory in effect for several days. Temperatures top out in the mid to high 90ies daily. I sweat just standing in the shade. So, naturally, this is the week I move to a new apartment. The plan was to move apartments in the Spring. A Spring move would have been balmy and relaxed. However, the search for a new place is often fraught with unforeseen hurdles, such as limited availability, and need to book a freight elevator far in advance. So instead, here we are in July, heat radiating off the sidewalk, humidity billowing through the apartment being slowly vacated one heavy box at a time. You are immediate family and you live within driving distance of said move. You are a close friend and the person moving helped you move within the last year. You are a close friend and you are going to ask the person moving to help you move soon. My mom fits into the first category and my sister is both first and second, so they were stuck. No one likes moving, especially in summer and especially when it is someone else’s stuff. However, there is nothing … and I mean nothing … that can make someone indebted to you like assisting is a horrible, hot, sticky move. And I’m guilty of forcing my nearest and dearest to participate in many such moves over the years. I’ve moved a lot (though never very far) and each time I’ve gotten a little better at it. I’ve learned not to put all your hardcover and text books into one box – heavy. Don’t move during rush hour – lengthy. Try to move somewhere with a lift – avoids many trips up the stairs. Also, label your boxes. And the one thing that I re-learn every time is that moving is not fun, but having people to help is wonderful! Maybe next time I will invest in movers!